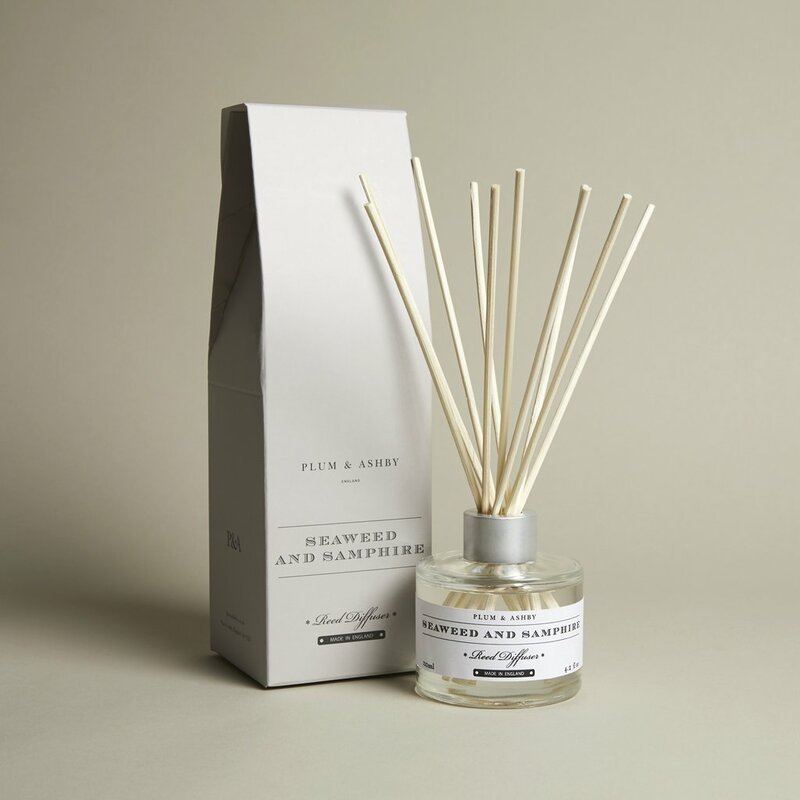 Our luxury reed diffusers are ideal to add a constant fragrance to your home. Add a long-lasting ambience to any room and feel instantly relaxed as soon as you enter your home. Made in England with a base of sustainably sourced oils, add an entirely welcoming fragrance to any room with our divine diffusers. 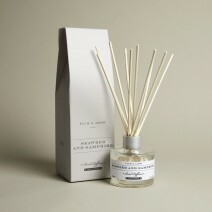 Made with 120ml of the finest blended fragrance oils, our room diffusers can last more than 3 months. Beautifully packaged in a white, vintage inspired numbered box complete with 10 reeds. Our diffusers will also make the perfect gift for friends and family. The FragranceA walk along the seafront watching the deep blue waves crash onto the golden sand and the fresh salty sea air blowing gently. Our favourite places to visit on a weekend is the seaside and this scented diffuser quickly evokes these feelings with a rich, dark aroma of the sea along with a woody, musky base note of samphire.